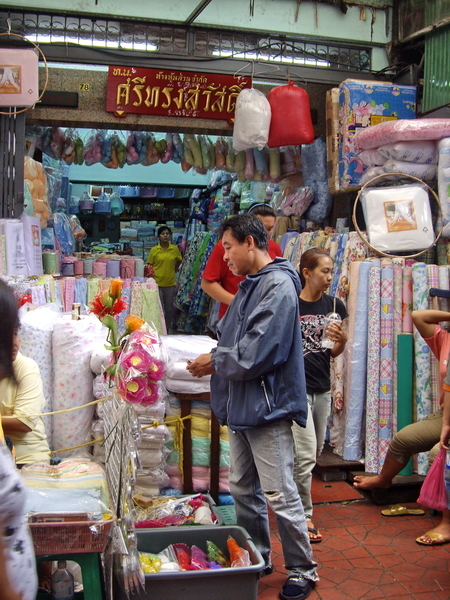 Rolls of felt are upstairs at the Pahurat market area, where the old escalator is. Pornsawad Shop, #60-62 Sampeng Lane, near Siam Central Bank at the intersection of Sampeng Lane and Trok Hua Met street, has felt by the meter in 26 different colors. The price is 100 baht per meter. It is 36 inches wide. They also stock lace, lining, lightweight cotton fabric in solid colors, net, burlap, tassels and velcro in many colors. #78 Siri Song Sawad sells polyester quilt batting. 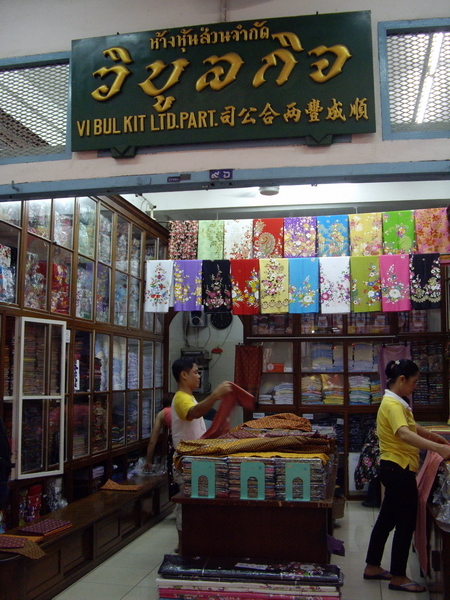 #96 Vibul Kit Ltd. sells sarong fabric which can be used for quilting. It is run by Adella. We stop by here often to see if new designs are out. Linda can’t go past this shop without buying more fabric! Thanks for all the information! 🙂 would you have any idea if I can purchase burlap in bulk? I was at pornsawad last week and they were charging about 220Baht per meter which I thought was pretty pricey. hope to hear from you, thanks!